Jordan is to date one of my favourite countries I’ve ever visited. 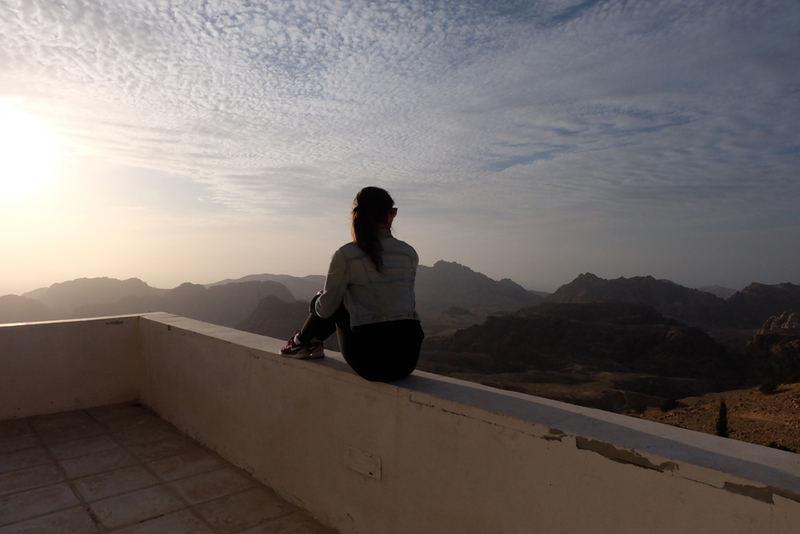 It’s unlike anywhere I’ve ever been in the world and I completely fell in love with the culture, people and all the beauty this Middle Eastern country had to offer. One of the best parts about Jordan is that it’s a relatively small country which means you can cover a lot of ground in a short amount of time. Although it’s always nice to have unlimited time, in reality, time isn’t always in our favour. So here is my recommendations for how to spend a week in Jordan and make the most of your limited time. 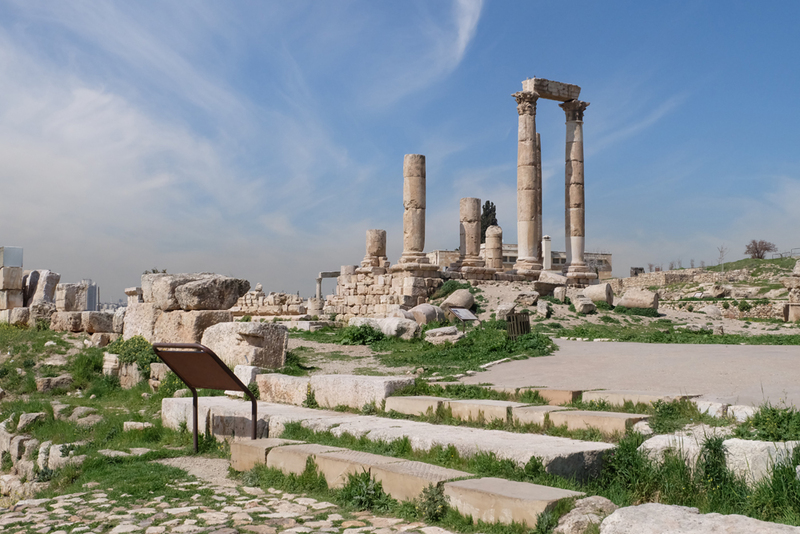 Since Amman is the most common city to fly into, you’ll likely start your trip in this modern and historical city that is the capital of the country. Although Amman is the capital city, it’s still pretty small so you’ll be able to cover a lot of ground in just a few days. Start your day off with breakfast at Hashem Restaurant. Don’t expect cereal for breakfast here because people in Jordan don’t eat your typical breakfast foods that you’re used to in Western countries. 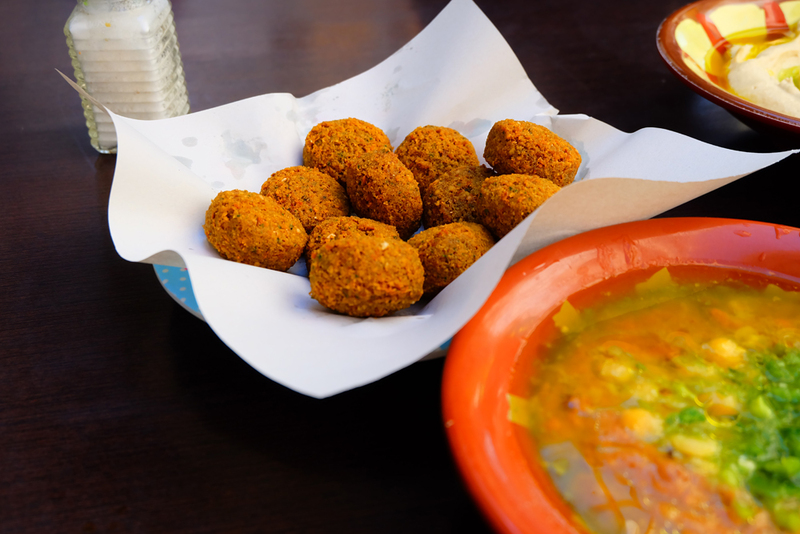 Instead enjoy some delicious and fresh hummus, falafel and other traditional dishes. Hashem has been open for half a century and even has had celebrities visitors. After breakfast, head to Rainbow Street and weave in and out of the cute boutiques and cafes. If you’re visiting on a Friday visit Souk Jara. Souk means “open-air marketplace” and this particular market is only open from 10:00am-10:00pm. While downtown head to the Roman Theatre. This theatre once sat 6,000 and was said to be built during the 2nd century AD (coast is only 2 JD). After walking around you’ll likely have developed an appetite again. 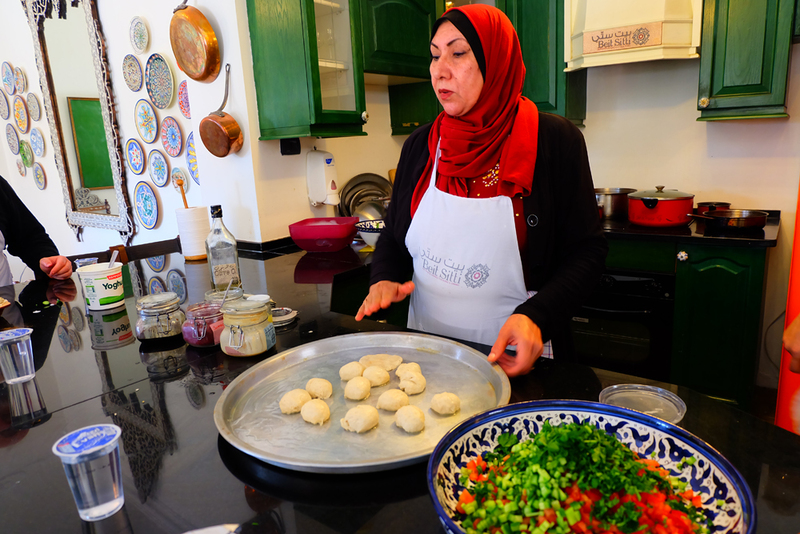 Do something a little different by learning how to cook traditional Middle Eastern cuisine at Beit Sitti. 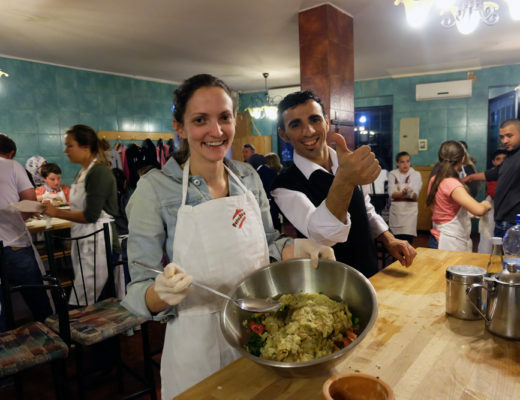 This class is a fantastic way to learn about the local culture and food, as well as have a delicious meal that you cooked yourself (prices start at 30 JD). Lastly, finish your city sightseeing by going to the Citadel. You’ll need to take transportation to get to it as it sits on top of a large hill in the city centre. This area was occupied by different people and cultures over the years, starting in the Middle Bronze Age (1650-1550 BC), but in 1878 was left abandoned. You can see fantastic views of the city while you walk among what’s left of the ruins (cost is 3 JD). End your day with another great meal at Sufra Restaurant located on Rainbow Street. I suggest getting the hummus for an appetizer, mansaf for a main course and the delicious ice cream with cotton candy for dessert. 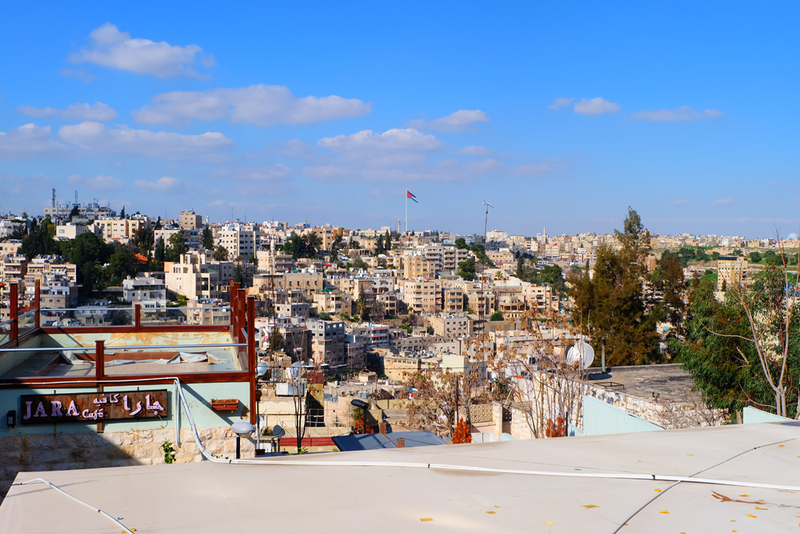 For more details on how to spend a day in Amman, click here. 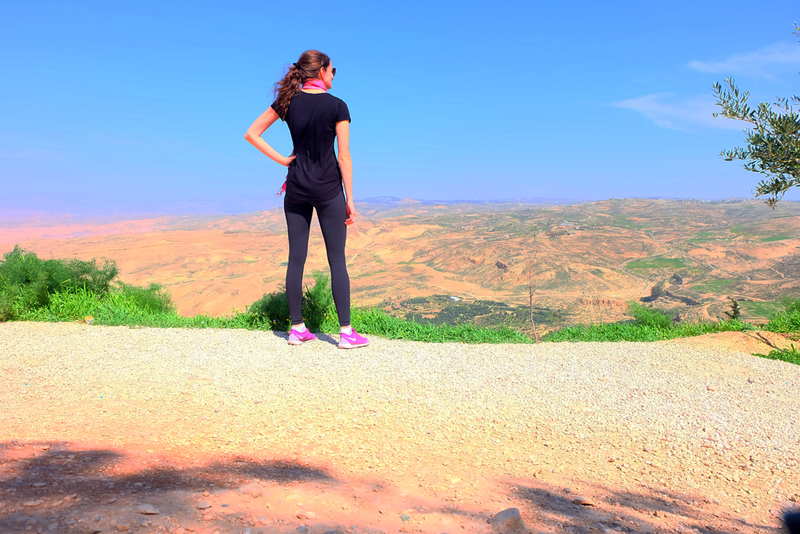 Now that you’ve seen Amman, head to Jerash for a quick day trip. Jerash is located about a one hour drive from Amman. Your best bet to get here if you don’t have a car is to arrange a driver. Your hotel can help you do this. 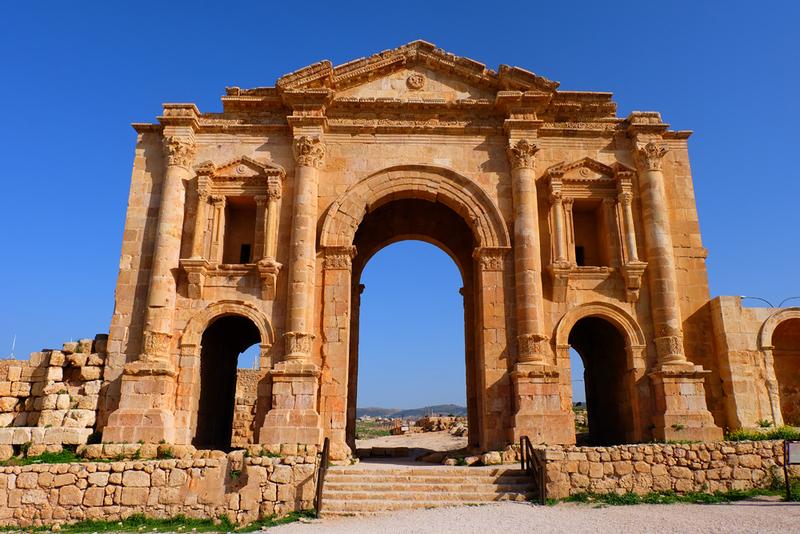 Jerash has been inhabited since the Bronze Age and is most famously known for the ruins of the walled Greco-Roman settlement of Gerasa just outside the modern city. Explore the ruins including the Hardiran’s Arch, the Corinthian columns of the Temple of Artemis and more. Spend the day exploring the ruins and also the beautiful history of this town. Cost to enter is 10 JD. It’s now time to head out of Amman and start moving towards Petra. Petra is about a three hour drive from Amman, however, you’ll be making some stops along the way if you have a car and the flexibility to do so. If you don’t have a vehicle you’ll head directly to Petra via a bus. Just over an hour drive from Amman, make a stop in Bethany. Bethany is right on the border of Israel and Jordan. 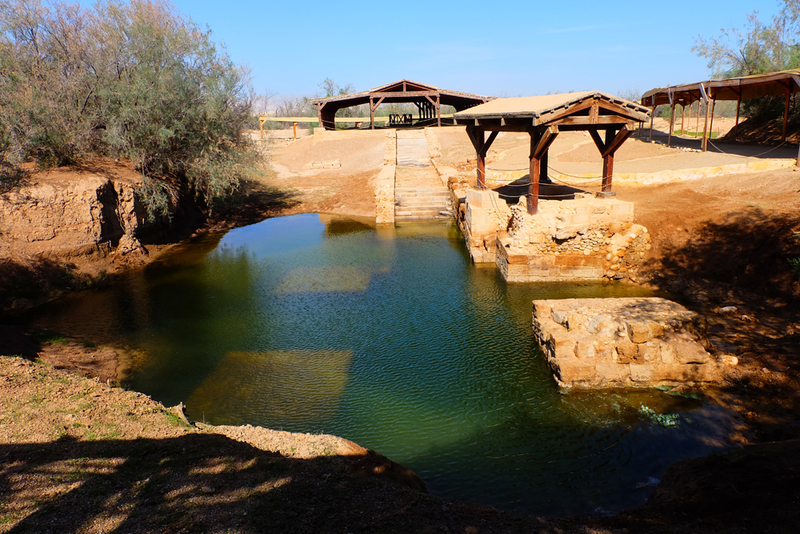 Bethany is home to a very important baptism site as it’s the location where it’s believed that Jesus of Nazareth was baptized by John the Baptist. Visit the baptism site along with the churches, the monastery, etc. Next head about 45 minutes to Mount Nebo, another religious site. Mount Nebo is mentioned in the Hebrew bible as the place where Moses was granted a view of the Promised Land. The view from the top provides incredible panoramic views where you can even see Jerusalem from on a clear day. This is also the spot that is said to be where Moses died and was buried. After Mount Nebo, continue onto Madaba which is only about a 15 minute drive. Madaba is a historical town known for its 6th century mosaic map of the Holy Land in the Greek Orthodox Church of St. George. 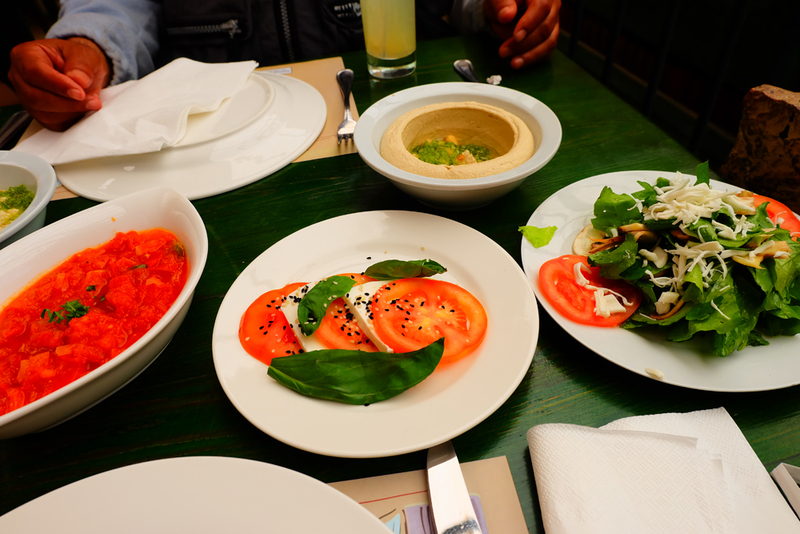 Visit the mosaic and then head for lunch at Haret Jdoudna restaurant and order a variety of mezze dishes (appetizers) as you soak in the beautiful surroundings of the 20th century house the restaurant is located in. Finally, head onto Petra which is just under three hours from Madaba. If you’re looking for a place to rest your head in Petra I recommend Petra Panorama Hotel. Although this hotel isn’t super fancy, the rooms are huge and you’ll have a giant balcony with a gorgeous view of Petra. 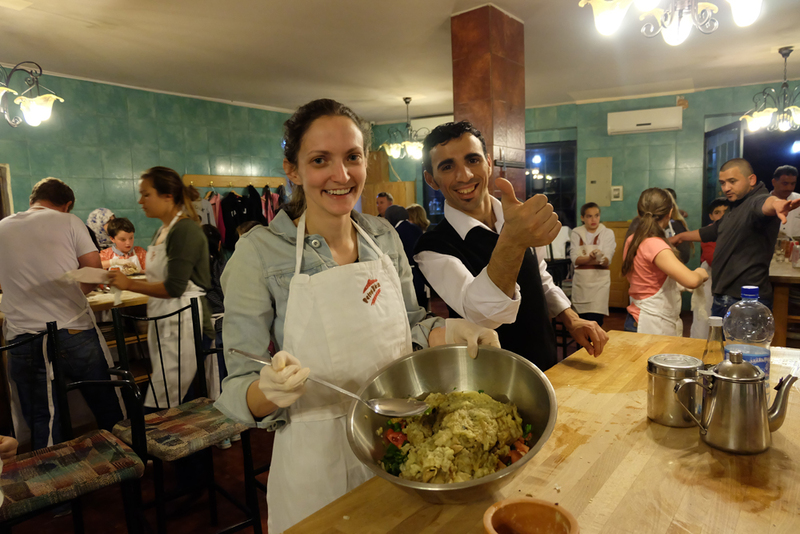 Once you’re checked in, head for dinner and a cooking class at Petra Kitchen (prices from 35 JD). Wake up bright and early and head to the old city of Petra. There isn’t a known date for when Petra was built but the city began to prosper in the first century BC and continued to thrive until an earthquake in 363 AD that destroyed the majority of the city. With the earthquake, and the changes in trade routes, the once thriving city of Petra, was ultimately abandoned, and “lost” to all except local Bedouin from the area. It was in 1812 when Petra became discovered by the Western world when a Swiss explorer came across the area on his travels. In order for the explorer, Johanne Burckhardt to be successful in his rediscovery, he dressed up as a local and convinced a Bedouin guide to take him to the city. It’s all because of this explorer that Petra became known in the West and began to attract visitors up until this day. What makes Petra so unique are the carvings that appear in the rock that were once carved by Nabataeans, industrious Arab people who settled here. 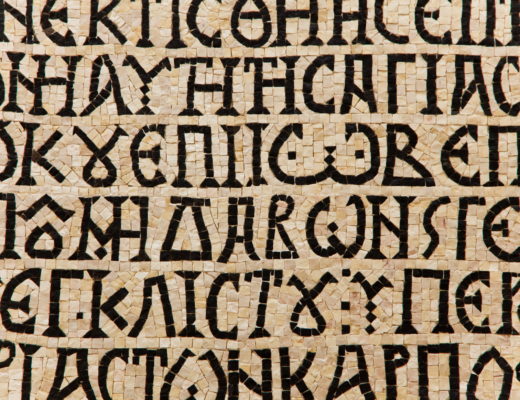 The thought of how it was even possible to carve things of such beauty over 2,000 years ago is mind-blowing on its own. Spend a good part of your day hiking through the old city. I hiked for about half a day but you can definitely stay longer because there is lots to see other than only the famed Treasury which is what you’ll usually see in photos (photographed above). Cost to enter Petra starts at 50 JD for a one day pass. 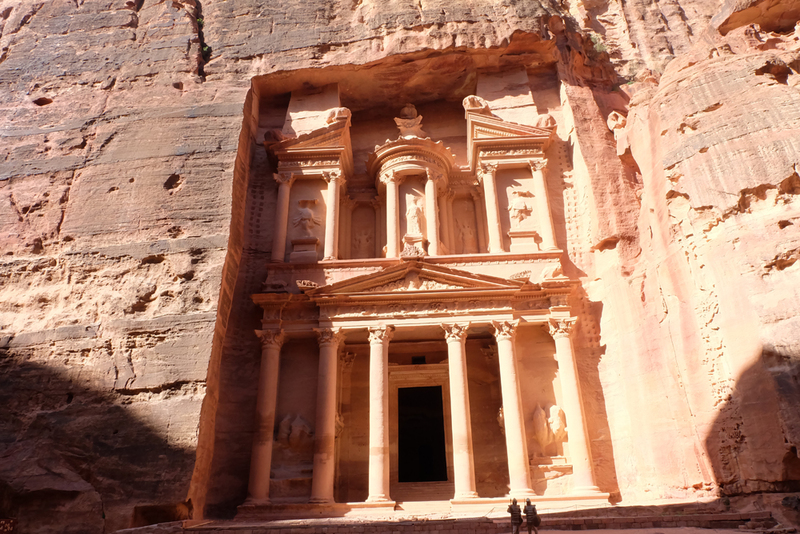 Check out my guide to visiting Petra here. After eating and reenergizing yourself, head back to the old city of Petra for Petra By Night. This event is a way to see the rock city by candlelight which is unique from what you’ll see in the day. You can visit Petra at night every Monday, Wednesday and Thursday starting at 8:30pm and entry is 17 JD. Next head onto one of the coolest places I visited in Jordan, Wadi Rum which is about a one hour and 40 minute drive from Petra. The name, “Wadi” means valley, and “Rum” means high or elevated. Wadi Rum has been inhabited by a variety of different cultures since prehistoric times, and is where British officer, T.E. Lawrence passed through during the Arab Revolt in 1917-1918. 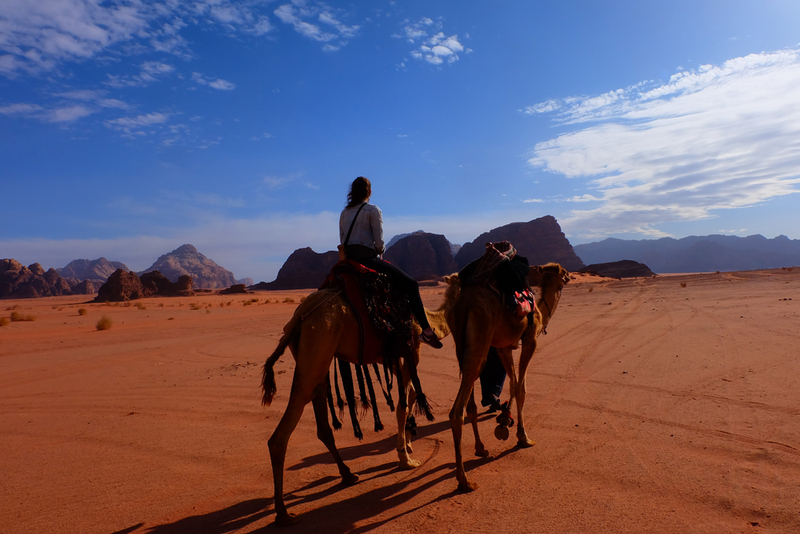 Today, Wadi Rum is home to Bedouin, an Arab semi-nomadic group, who have started a variety of different eco-tourism adventures for tourists such as camping, climbing, trekking, camel safaris and ATV tours. Choose your type of adventure and stay at one of the desert camps. 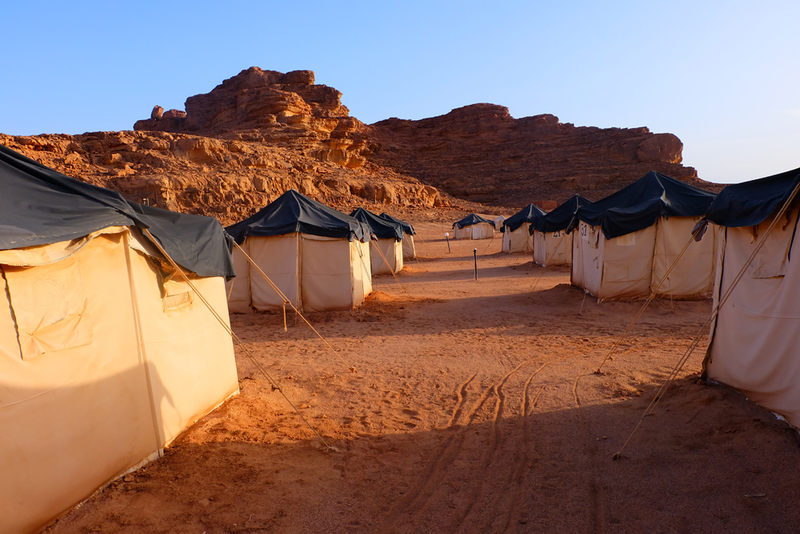 I stayed at Jabal Rum Camp which a rustic and fun experience. Our camp cooked zarb for the guests which is made by placing meat and vegetables under the sand as it cooks. 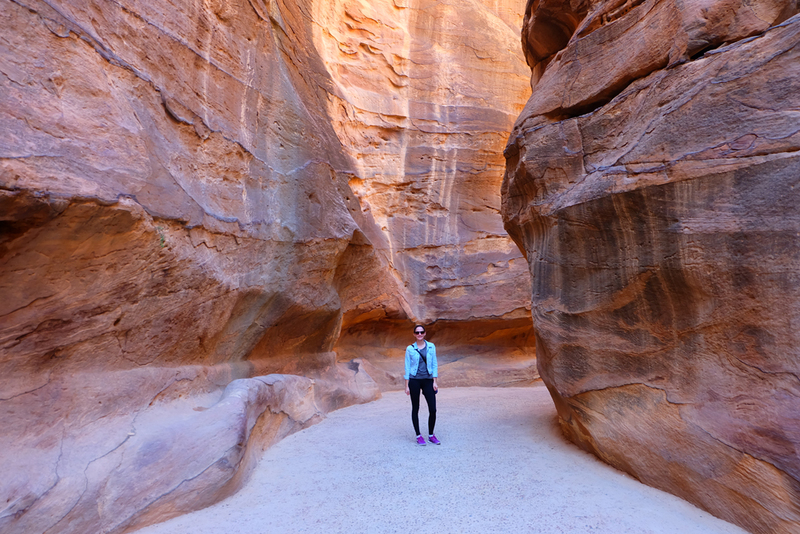 Click here to read more about my experience camping and exploring Wadi Rum. 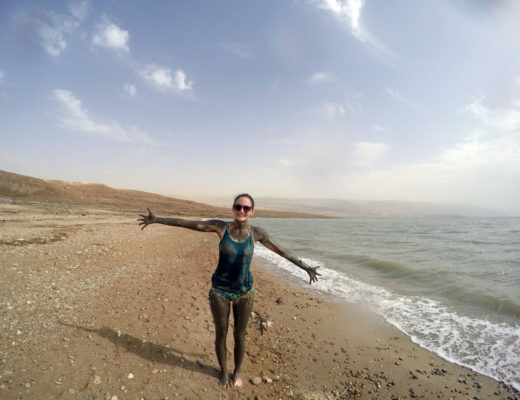 The final stop of your trip is the Dead Sea. The Dead Sea is a salt lake bordered by Jordan and Israel which stretches 50km long, and 15km wide. It is the lowest point on earth, sitting 1,407 feet below sea level, and is one of the world’s saltiest bodies of water (almost nine times as salty as an ocean). Because of the high salt concentration of the Dead Sea, people can easily float due to the natural buoyancy. Not only does this make for a unique “swimming” experience, but it also contains eight times more minerals than most sea water. Many of the resorts in the area have their own private beaches along the Dead Sea or will shuttle you to a safe spot to float away. Given that there isn’t much to do in the area, you can easily come here for a swim and head out in a day. After your experience at the Dead Sea, either spend the night or head to the airport to fly home. The international airport in Amman is located only about an hour drive from the Dead Sea so it’s easy to fit into your itinerary even if your flight is in the same day. I am so excited I stumbled across your blog. I am going to Jordan in March/April with my husband this year and I think your itinerary is the closest to what we want to see/experience. How did you get around if I may ask? Hey Jazmine! I had a driver that took me around everywhere as I won this trip from a tour company.